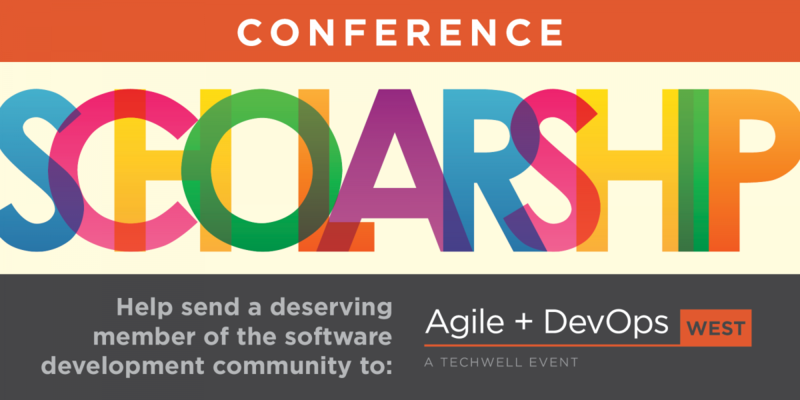 Google Developer Advocate and Agile + DevOps West 2019 Keynote Speaker, Nathen Harvey, and TechWell are partnering up to provide a scholarship for someone from an underserved community to attend this year's conference in Las Vegas, Nevada. This scholarship opportunity was put in place to help someone who would not be able to attend the conference otherwise. A recipient will be chosen by Tuesday, April 30. Thanks in advance for your nominations! *Scholarship award is non-transferrable and has no cash value. Award recipient must confirm acceptance no later than May 10, 2019. If selected award recipient does not respond or is unable to accept the scholarship award, TechWell reserves the right to choose another recipient. False representations of nominee(s) will result in a forfeiture of scholarship award.